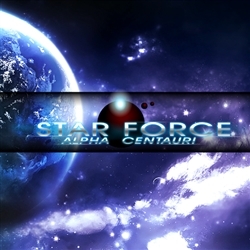 Star Force Alpha Centauri covers the initial human penetration into interstellar space, with the map showing the local group of stars in three dimensions. This will have several different races of sentient beings, each with their own psychology, reflected in different capabilities and objectives. Game units will include: star forces (four ships each), star gates, and star soldier strike commands. There will also be some specialized units, such as local forces of varying capability, weapons packs for star forces, and nova inducing conversion bombs for when things get really desperate. A deck of cards will generate specialized capabilities for each sentient race as well as game events, allowing for the linking of individual scenarios into one grand game. One mounted map, card stock ships and stands, wood/plastic markers, one deck of cards. Est. Retail: $80 (Est. Pledge $60). This game is returning to design for further work. the discussion has been about making it a multi-player game (but still have two player scenarios) and giving it a more euro-style.